In an interview with NASASpaceflight.com, Mission Operations Directorate (MOD) Director Paul Hill spoke of his pride for the MOD community, whilst outlining his vision for the future as NASA prepares to transition into a new post-Shuttle era of Commercial opportunities and a return to manned exploration outside of Low Earth Orbit (LEO). 1) What is your vision for the future of spaceflight operations at MOD? MOD is committed to “bullet proof” technical support to the operational programs, continuous improvement and leveraging our key strengths – technical and leadership culture – to make any next human space program successful. I expect that we will realize ongoing reductions in the manpower and costs required to do the same type of work, while also continuing to ratchet up the level of expertise in the work force. i) Our primary goal every day is to be perfect in the technical work that will most directly effect the missions we are preparing, the spacecraft the programs have entrusted us with, and most importantly, the astronauts who are relying on us providing the same, bullet proof MOD support they have always had in this dangerous business. We are relentless in pursuing answers to the unexpected or unknowns in mission prep, training and flight – following up on and resolving things that are referred to as “links in the error chain”. We are equally relentless in evaluating our individual and team performance. There’s a line in the Foundations of Mission Operations that reads, “To always be aware that suddenly and unexpectedly we may find ourselves in a role where our performance has ultimate consequences.” And we are. ii) I typically remind the MOD leadership team that our expectation is “ruthless” continuous improvement. While it’s great to have mastered the way we did things in the previous decade, we expect our high performers to then look back and ask, “What could we have done better? What could we now do better? Where is my performance and prep the weakest, and what can I do to strengthen those areas? And the same questions for my organization and my employees or team members? It is not a natural act for most engineers to discuss those things, rather, we tend to focus on doing the job, answering the technical mail. Thus, the expectation is that MOD leaders will deliberately break that natural tendency and call out those weakest areas for themselves, their org and their folks. The point isn’t the weakness, it’s the action that is then taken to strengthen it. We are not trying to be as good as MOD was in July 1969. We seek to be better than we were in the previous program, the previous year and the previous mission, realizing there are billion dollar spacecraft and missions, and priceless people at stake. Interestingly, self-imposed continuous improvement isn’t something a government organization is typically known for, and we’re proud to have the data to back this claim up. iii) As I said at the Baker Institute in December, our goal is to leverage the considerable technical expertise, experience base and MOD leadership culture to enhance the success of every next human spaceflight program. The connection to a NASA managed spacecraft and booster, e.g. Orion/Ares and MPCV/SLS is obvious. However, we continue to make the case that MOD can contribute directly to the mission success of a commercial crew vehicle as well. That contribution is via the same technical expertise, experience base and leadership culture to directly enhance mission assurance. Further, similar to our approach with the USAF in the 1980s, commercial provider team members could be spread throughout all parts of the MOD team as a way of passing on MOD best practices to the commercial provider and to increase data flow with the commercial vehicle developers in support of operations development. This also defers the investment required by the commercial provider in both infrastructure and the larger team until the provider begins scaling up for broader commercial, human spaceflight. However the future vehicles pan out, I envision MOD remaining a key player in NASA’s human space operations as well as the steward of the skills and culture required to operate at the frontier. 2) How do you envision the transition from operating government vehicles to/from LEO, to an era where commercial operators are managing most/all LEO ops? What possible relationships might there be between MOD and commercial during that transition? What role(s) might MOD play? This could go a couple of ways. The scenario that I think is a win for NASA/MOD and the commercial provider would be the one I outline above. In the 1980s, we were on a path for the USAF to launch Shuttle for DOD missions from Vandenberg AFB, controlled by an Air Force team in a control center in Colorado Springs. To do prepare them for that, USAF personnel were assigned throughout all parts of the MOD team as a way of passing on MOD best practices, on-the-job training, passing on the culture, etc. In the same way, commercial provider team members could be spread throughout all parts of the MOD team for the same purpose and to increase data flow with the commercial vehicle developers in support of operations development. This also defers the investment required by the commercial provider in both infrastructure and the larger team until the provider begins scaling up for broader commercial, human spaceflight. As the commercial provider works past hardware and software manufacturing surprises, corrects/optimizes subsystems, and matures vehicle processing and flight operations, there will come a decision point regarding the size of the commercial market and the resulting scaling up to higher rate and non-NASA missions. Approaching that scale up, I’d expect the commercial provider to build out their own infrastructure and use the cadre of folks embedded with MOD to build a larger team around, again, the same as the USAF intent in their build up to military Shuttle operations. When up and operational in their facilities and with a broader passenger base, it would make complete sense then for NASA to book passage and have no greater part in the operation than as the operator of the ISS receiving a visiting vehicle. For this to work, the relationship between MOD and the commercial provider must be very similar to the traditional relationship between MOD and a NASA program office. MOD would be a team member and ops agent to the commercial provider for any mission MOD supports them on. When the commercial provider scales up and manages the full process, the relationship would evolve to the same that MOD has today with an ISS international partner with an ISS visiting vehicle, i.e. as the ISS ops agent coordinating with the visiting vehicle ops agent for safe trajectories, proximity operations go/no-go criteria, joint emergency procedures, etc. Theoretically, as this market expands and NASA realizes the associated cost savings, NASA would then reinvest those savings into human missions beyond LEO which MOD would then be focused in planning, training and flying while the commercial providers serve LEO the way commercial aviation serves commercial air travel. 3) How can NASA as an Agency help MOD sustain and transition its well known talents into the new era? Help establish the Space Act Agreements and cost models that enable the partnership I describe between MOD and a commercial provider. This includes an agency level strategy to not seek reimbursement from a commercial provider for the fixed costs that NASA will incur with the ongoing ISS mission. Presuming the agency approach is to minimize/defer the initial investment and to leverage the skills of an organization like MOD, redistributing fixed costs may serve only to make the partnership cost prohibitive to the commercial provider, who may then elect to operate from less capable facilities without the mission assurance value of leveraging MOD. 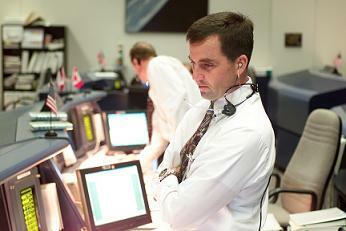 Instead, recognize that the fixed costs NASA bears for ISS operations are our “minimum cost for operations”. Once we accept that, it makes sense then to negotiate only the additional cost incurred for commercial vehicle specific support, e.g. command/telemetry products, unique software, mission plan/train/fly support. While this is oddly non-technical, it stands as a significant hurdle in advancing the discussion. And it is one that only the agency can resolve, not a NASA center. 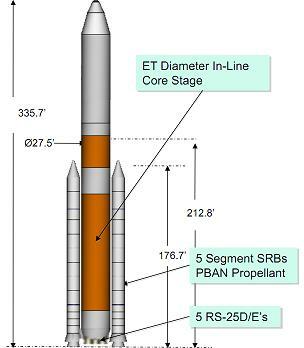 4) HEFT – and other bodies such as at Marshall – are continuing to evaluate the Space Launch System/HLV options. How much influence does MOD have in this process, given its role within the Constellation Program? Would MOD have a preference – or not – for a Shuttle-Derived system (SRBs, SSMEs), given the commonality with STS and to a level with Constellation? MOD has some participation in the various ongoing studies offering observations based on lessons learned from our long history. Final decisions on direction will be led from NASA Hq and ultimately are Executive Office policy points that lead to MOD direction. MOD preference for Shuttle derived or not? Complicated question. It is obviously a simpler evolution from Shuttle operations to those of a Shuttle derived system, from flight rules and procedures, to software and hardware peculiarities. From that very parochial perspective, sure that leads to a strong preference. That said, there are compelling arguments regarding the ascent performance requirements for lunar and Mars missions that could not be met with Shuttle derived systems without more launches, which could tilt the cost and safety scales. Further, by the time common Shuttle components are repackaged and recertified into a new boosters and spacecraft, the aggregate MOD effort required to plan and fly them will look a lot like the effort we’d require for an all new vehicle. Presumably, the system development risk would be lower though. Either solution must fit into the budget we have available. That trumps things like a parochial MOD desire to evolve rather than reinvent. In the end, the stronger MOD preference is that we have a next generation human rated vehicle and booster, sooner rather than later, and a heavy lift capability that supports missions out of LEO where we’d all like to get back to and extend the human frontier. 5) How important will MOD’s (continued) role be with Orion/MPCV, such as via MOD’s vast experience and skill with “Plan/Train/Fly”? 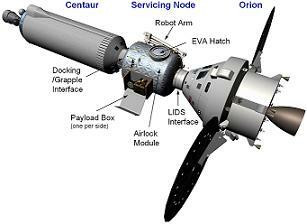 Is it expected that MOD will hold a primary role with the proposed test flight of Orion on an EELV? (2013 ish) onwards? MOD’s role for Orion/MPCV is unchanged. Experienced MOD personnel remain engaged with the NASA and Lockheed team developing the spacecraft and associated operations. Our plan is to engage the MOD infrastructure and plan/train/fly community in preparing for and flying the test flight on whatever booster it rides to orbit on, including an EELV. I’d expect that a commercial EELV would be launched and monitored by the experienced commercial launch team. 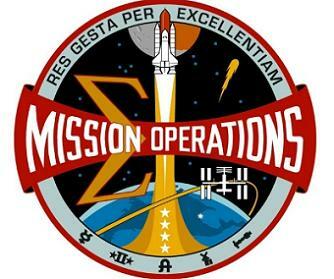 An MCC-Houston team would then be responsible for the spacecraft, team with the EELV provider on spacecraft related ops decisions during first stage, powered flight and have full responsibility through splashdown. This arrangement would both benefit from MOD’s previous flight and Orion-development experience, and also provide a good pathfinder in developing MPCV mission systems and plan/train/fly products. MOD’s support to the test flight would fit within the cost required to prepare for the follow on MPCV missions with crews aboard. 6) What is the role MOD envisions the ISS will play in researching, testing and verifying systems for future space exploration? In other words, what knowledge can ISS give MOD that will be required for future space exploration? The most valuable roles MOD sees ISS serving for exploration are in: 1) field testing incrementally improved generations of closed loop life support systems which clearly must evolve for long duration missions outside of LEO and relatively easy resupply; and 2) ongoing study and mitigation of the prolonged effects of micro-gravity on crew health, both short and long term. 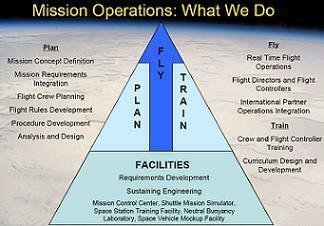 There are discussions regarding operations oriented experience we could gain by modifying ISS operations to simulate the long transfer flight we’d see for missions to a NEO or Mars. For example, we could insert artificial time delays in commands, telemetry and voice communications similar to the delay we’d experience in a mission well outside Earth orbit to facilitate earlier changes in our ops approach to overcome them. While this, and ideas like it, are not without merit, these types of operational challenges and their solutions do not represent show stoppers. However, low confidence in closed loop life support and crew health over a 12-18 month mission outside the reach of Earth resupply is a deal breaker, because we can’t simply adapt if some element of life support, like CO2 removal, fully fails. ISS gives us an outstanding laboratory right here in the neighborhood to keep “tinkering” with the systems with the lowest readiness for long duration missions outside of LEO as well as to continue studying and mitigating the effects those long flights will have on our astronauts. Unlike ground based labs, ISS is continuously in the space environment with the full range of micro-gravity, vacuum, atomic-oxygen, MMOD, radiation, thermal cycles, etc that challenge the systems and astronauts. 7) As the Shuttle heads into its final year of operations, many of the workforce, especially at the contractor level (USA etc) are losing their jobs. As MOD director the loss must be painful, but the professionalism of “finishing strong” – which is often cited both openly and privately despite the harsh reality of losing their careers – must fill you with pride. What are your thoughts surrounding the departures from MOD family during the transition? I could not be more proud to be part of this great MOD team and the people that comprise this national treasure. 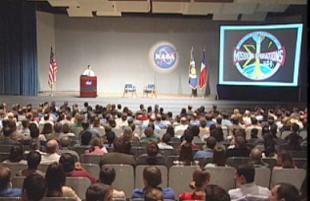 MOD’s workforce has retained all of the key attributes of the organization that invented NASA’s Mission Control in the 1960s on the way to the Moon. 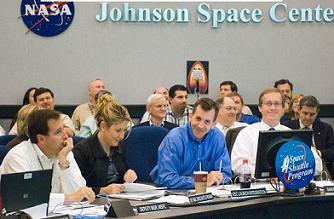 Not only does MOD remain at the top of the field in human spaceflight planning, training and operations, but we continue to sharpen the culture and challenge ourselves to adopt best practices from other industries and to make the organization better, more focused and more efficient today than we were 5 years ago, 10 years ago… Today we plan, train and fly both Shuttle and ISS missions and participate in developing the follow on spacecraft and booster as well as numerous other human spaceflight studies, and we do it with half the people we had in 1990 while only flying Shuttle. Add to that the pressures that come with the end of the Shuttle program. We’ve known that was coming for some time now, so no surprise. Even in a program-of-record, Constellation scenario, MOD was projected to be at least 30 percent smaller than we were in the last few years as we continue our practice to do the same technical job with less resources. Up the ante with the significant shift in policy away from Constellation following Shuttle, and in an extreme case that has MOD only supporting ISS, MOD would be half its current size in the next year or two. It would be reasonable for anyone to lose focus if not abandon us altogether in the interest of being able to put food on the table and pay their rent if nothing else. And yet, every day, these folks come do the same stellar job in preparing the next mission, flying ISS and Shuttle. It is humbling to see. Like the generations before them, most of these folks are drawn to this work as something much more than just a job or paycheck. And I mourn for every one of them and their families. These people are the heart and soul of MOD’s community with expertise in launch, entry and space rendezvous. Shrinking the size of that community is very tough. The risk of fully eliminating it keeps me awake at night, both for the technical capability and the human impact to these people who are carrying the load for the cause. It’s even more heartwarming to see that this commitment is so much bigger than MOD, by the way. 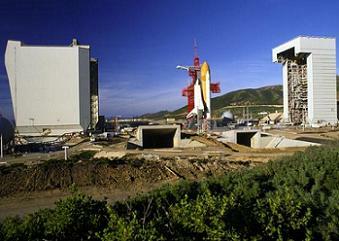 Across the Shuttle Program, there are thousands of contractors who either know already that their jobs will end with the program, or don’t yet have a confirmed place in the much smaller workforce we foresee for the follow on vehicles, and yet they keep processing Shuttle flight hardware and preparing for the final missions. 8 ) Are you of the belief the Shuttle Program should have been extended (either 2012 or 2015), as evaluated in extension studies during the time of the Augustine Commission? In a perfect world with the budget to support it, I would have liked to see us continue flying Shuttle until the next vehicle is flying and thus have no gap in U.S. access to LEO. The reality is that we must fit within the budget we’re given, and it was concluded years ago that we could not support developing the new vehicle in parallel with flying Shuttle. 9) Are you of the opinion that the Shuttle is the safest its ever been since RTF? How much of this can be attributed to the lessons learned/skill set/knowledge base of MOD? I’m confident Shuttle is as safe as it’s ever been since RTF. Program-wide, we made huge strides in adding rigor to engineering studies, failure analysis, etc. during the return-to-flight, and it has become healthier still since then and better focused. So, again, for a still dangerous endeavor, Shuttle is as safe today as it has ever been since RTF. I am equally confident that we will fly through wheels-stop on the last mission with the same focus and rigor we always have. For MOD’s part, it’s all about the lessons learned/skill set/knowledge base you mention, in addition to a operations leadership culture that doesn’t tolerate anything less from the top of MOD’s leadership team to the individuals in the workforce. Listen to John Shannon leading a tough engineering discussion some time, and you will hear that same intolerance for anything but good data and solid analysis. As a reminder, managing the energy required to leave the pad using rocket propulsion, achieve orbit at over 17,000 mph and return to Earth through a 6,000 deg F fireball will remain dangerous. 10) While some people want to be astronauts and others would love to be hands on with the vehicles by being techs and engineers, many of us have seen the controllers and FDs working in the FCRs and thought “I’d love to do that as a career!” While that is just one visible part of MOD, can you assure people there will always be an MOD, that astronauts in the future will still be calling down to “Houston”, that the dream of being a controller, CAPCOM or Flight Director within MOD for the manned missions to NEOs and eventually Mars is a dream one should still aim for? NASA plans to fly ISS at least through 2020; thus MOD, astronauts, et all will still be in place and in need of new generations at least through 2020. Similarly, NASA currently plans to develop MPCV and SLS and ultimately employ them for missions outside LEO to destinations still under evaluation. I expect MOD and NASA astronauts to be right in the middle of that too. Presuming the nation remains committed to NASA’s current plans, we sure look like we’ll be hearing calls to “Houston” and this great MOD team to plan, train and fly the folks who make those calls for decades to come. We’ll just keep hearing those calls from astronauts who are further and further from home while they push the frontier and human presence out. The only way we get there is for people who are drawn to this work to come be part of it and make it happen. It’s never been easy or guaranteed to go on forever. Every generation since Apollo learned from the veterans before them. And each one in turn worked to become experts and leaders in the field, making MOD and human spaceflight successively stronger. That’s still true today. Putting people on Mars remains a daunting ambition. Building yourself into an MOD leader is a great way to contributing to that cause, but it isn’t a given or tenured position. Every day is an opportunity to confirm the unique value MOD brings to the cause. (All images via NASA.gov, with additions via L2 stock).